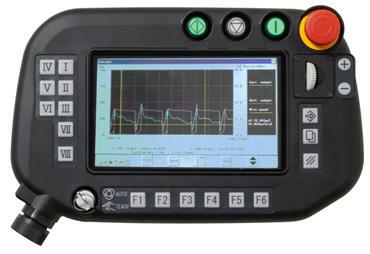 Robot Operation Monitoring Function to display the robot operation status such as running, hold, arc welding waveform and results of the weld monitor in real time, enabling the monitoring of the operational status of one or multiple robots. Remote Teach Pendant Viewing Function enables the real time robot status check by displaying the robot’s teach pendant screen on the PC Display. 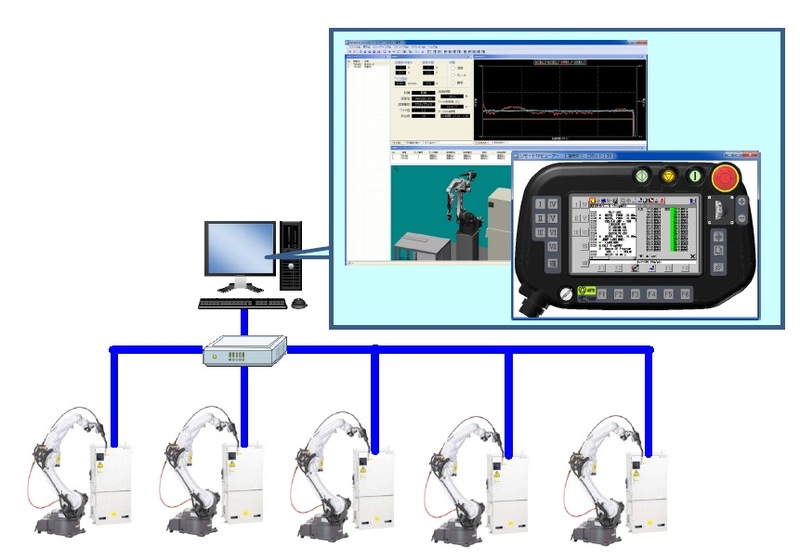 The Panasonic Robot Operation Monitoring Function displays the robot operation status such as running, hold, arc welding waveform and results of the weld monitor in real time, enabling the monitoring of the operational status of one or multiple robots. The Panasonic Remote Teach Pendant Viewing Function enables the real time robot status check by displaying the robot’s teach pendant screen on the PC Display. 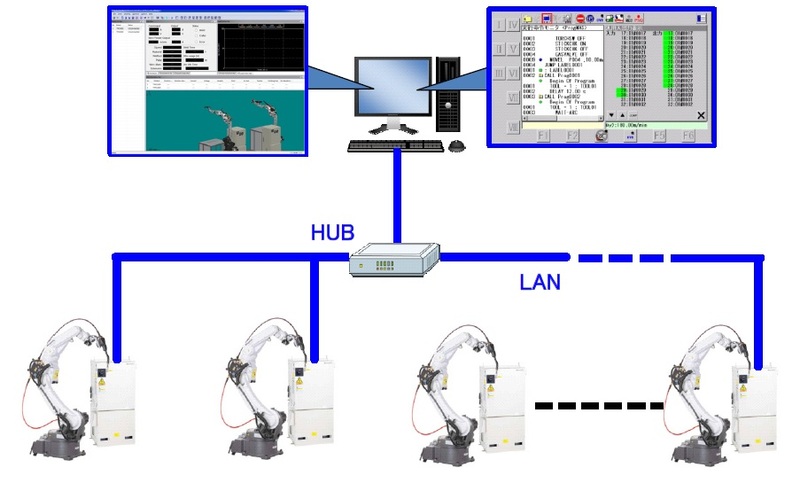 In the example shown here the supervisor is able to remotely monitor the teach pendant screens of 4 robots simultaneously.